Step 1 Combine the almond milk, frozen peach slices, Matcha Collagen, avocado and honey in a high-speed blender. Process on high until ingredients are combined (about 45 seconds). Serve immediately. Collagen has earned accolades in the beauty industry for it’s ability to restore moisture to the skin, improve elasticity and more. (The wrinkle-preventing protein occurs naturally in our body but depletes as we age.) But did you know collagen also supports healthy digestion and gut health? (Bye-bye, belly bloat!) 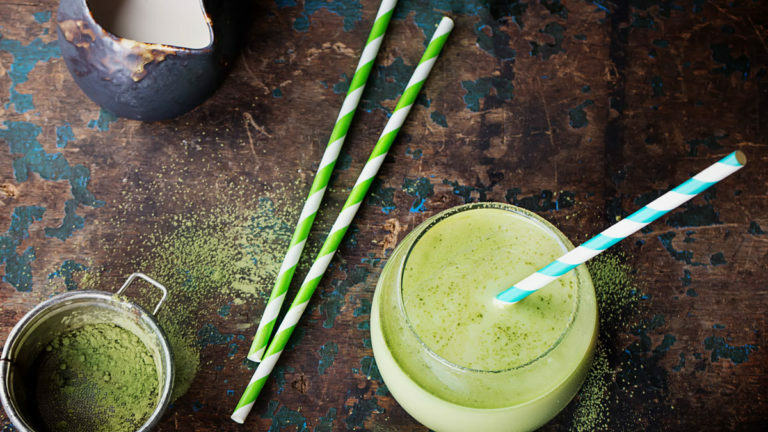 This collagen smoothie is packed with energizing ingredients to support both beauty and health. Matcha is full of antioxidants shown to improve mood and manage anxiety while collagen helps to improve hair, skin, nails, joints, ligaments and tendons.